How Do I Know Whether to Repair or Replace My HVAC System? Most folks do not think about their heating, ventilation and air conditioning (HVAC) unit until their system stops working. The hot, humid summers in the Houston area put extra demands on air conditioner performance. If your HVAC unit needs frequent repairs or is more than 10 years old, it may be time to consider replacement. 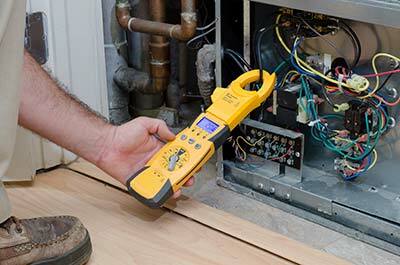 Purchasing a new heating and air conditioning system is a major investment. A certified Katy HVAC repair technician can evaluate the performance of your existing unit and provide recommendations for repair or replacement. Higher utility bills suggest an overworked compressor, a dirty filter or leaking ducts. A professional Sugar Land air conditioning repair service like All Out A/C and Heating can evaluate the problem and suggest ways to lower your utility bills. Repairs may solve the problem, but a new unit can save between 20 and 50 percent on energy use, depending on the system you choose. Frequent or costly repairs are a telltale sign that a system may be at the end of its serviceable life. Having regular tune-ups by a Sugar Land HVAC repair service and keeping air filters clean helps keep systems running smoothly, improves energy efficiency and reduces the occurrence of breakdowns. But even a well-maintained system eventually wears out. Uneven heating and cooling in a room may be due to leaks around doors and windows, inadequate insulation, leaking ducts or poor equipment performance. Hot and cold spots are often a sign of an improperly sized air conditioner. A licensed Katy air conditioning repair company can perform an energy audit to identify leaks in the building envelope and calculate the load of your building to determine whether the existing unit is the right size. High indoor humidity is a sign that the air conditioner is not performing properly. New advances in HVAC technology such as variable-speed compressors are more energy efficient because they operate in response to heating and cooling demand. Most of the time, a variable-speed compressor runs at lower speeds. When temperatures rise and more cooling is needed, the compressor runs at higher speeds, delivering consistent temperatures and lower humidity with less energy usage. Almost 50 percent of residential energy use goes to heating and cooling. New technology such as heat pumps, two-stage and variable speed compressors can provide exceptional indoor comfort with lower energy usage. 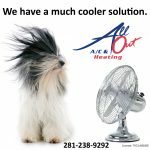 All Out A/C and Heating is an established air conditioning repair and installation service company with the technical know-how to evaluate the heating and cooling needs of your building and make recommendations that fit your lifestyle, budget and indoor comfort needs. We are a Trane and Ruud contractor, offering high-quality equipment that meets Energy Star guidelines for energy efficiency. To find out more about replacement versus repair options for your residential heating and cooling needs, call 281.238.9292 and speak to one of our technicians.